LANCASTER – Deputies from the Lancaster Station Traffic Unit will be conducting a DUI/Drivers License Checkpoint on Friday (Nov. 16) at an undisclosed location in Lancaster, between the hours of 6 p.m. and 2 a.m.
Deputies will be contacting drivers passing through the checkpoint for signs of alcohol and/or drug impairment. Deputies will also check for proper licensing and will strive to delay motorists only momentarily. Drivers caught driving impaired can expect jail, license suspension, insurance increases, fines, DUI classes and other expenses that can exceed $10,000. “Over the course of the past three years, DUI collisions have claimed two lives and resulted in 112 injury crashes harming 167 of our friends and neighbors,” said Sgt. Paul Pfrehm of the Lancaster Station Traffic Detail. DUI checkpoints are a proven enforcement tool effective in reducing the number of persons killed and injured in alcohol involved crashes. Research shows that crashes involving alcohol drop by an average of 20 percent when well-publicized checkpoints are conducted often enough. 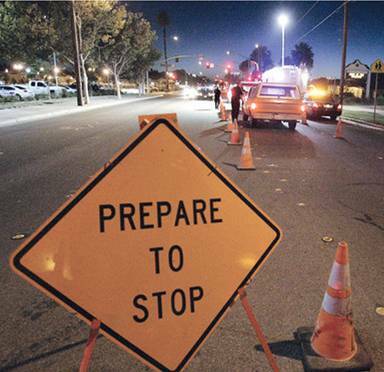 Funding for Friday’s checkpoint is provided to Lancaster Sheriff’s Station by a grant from the California Office of Traffic Safety, through the National Highway Traffic Safety Administration.